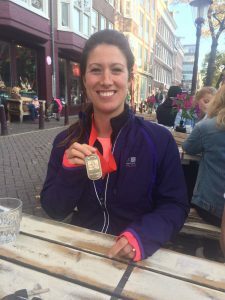 Natalie’s Final PhysioMatters Blog – Three Years On! It’s just over 3 years since I treated my first patient at PhysioMatters and I wrote my first blog The Journey So Far. It is fair to say the past 3 years have just flown by and I have learnt so much, both as a physiotherapist and as a business owner. So it is with a mixture of excitement and sadness that it is time to hand over PhysioMatters to my colleague Joe McConnell (About Joe). I can assure you I would not transfer the business over to just anyone. In fact I have pretty high standards when it comes to my practice and my patients so you can be reassured that Joe will continue with those standards of care. Joe and I have worked tirelessly over the past few months to ensure we achieve a seamless transition and we will continue to work together over the next month to guarantee that continuity of care. It is not easy running your own business, especially in a different country but it has been an amazing experience and one I would not change. It has challenged me, taking me constantly out of my comfort zone but I believe that has made me a better therapist as a result and it has certainly taught me some new business skills. I have loved every minute of working with the Expat community in Amsterdam and I want to take this opportunity to thank my patients for their hard work and loyalty. I know I am leaving you in great hands with Joe. I look forward to watching Joe develop the practice and I promise Joe that I will do my best to quietly watch from the side lines and not interfere! I started running back in 2004 (or was it 2003?). I started exactly how I now recommend runners should start. With a simple programme where for the first week you run 1 minute, walk 1 minute x 10. Strangely my memories of this was doing it in the dark and I had no idea what a running t-shirt was. My new boyfriend at the time (now husband) came out and cycled with me to keep me company (awww!). 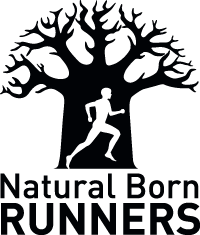 I joined a running group and loved it but was over enthusiastic and got countless niggles, injuries and pains. I think the main one was on the side of one of my knees and I often would take rest and then try again. I am sure I started running from zero many times. Once I went to a physiotherapist who couldn’t help me. I also went to see a sports doctor who just said I was fine. Eventually he told me to listen to music and just go out and run. Interestingly that worked. Over the years I have had also pain in my foot that resulted in taking anti inflammatory tablets for the Amsterdam Marathon (don’t do this, it is not good for you), had shin pain, pain in the bottom of my foot, sore achilles, the works! Nothing was ever serious but it always halted training and often required visits to medical professionals. Reflecting on this I now realise that the last injury I have had (except for a little niggle before Boston marathon that I wrote about here ) was over 2 years ago. More than 2 years since I have had any injuries causing a halt to my training. It was foot pain after running an Ultra of 33 miles. 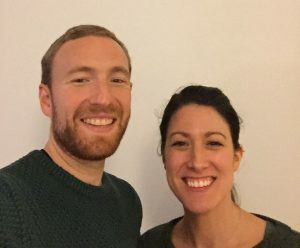 I realise writing about this injury free streak could tempt fate, but I thought I would risk it and share with the world about what I have done to help. 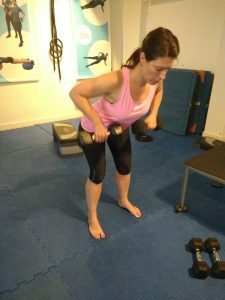 Strength training – I started this well before I became a Personal Trainer so just did as the gym instructors told me. Adding a better quality of strength work to my programme certainly helped towards preventing injury and it is very much recommended for all runners. It didn’t stop injury all together and this is where number 2 came in. Becoming a Biomechanics Coach – this has been the biggest game changer for me. Being able to take control of my body myself, understand how the body works at a deeper level, correcting asymmetries and poor movement as well as doing my strength and conditioning work in a smarter way have really made the biggest difference to my injury prevention. Learning more and more over the last few years about movement has clearly helped me (as well as clients) to make a big difference. Cross training – since taking up triathlon my body just feels better. The combination of doing more than one sport means I am moving in more directions and not just repeating the same movement as I was doing in running. I certainly have noticed a difference in how my body moves when just training for a marathon compared to a triathlon. I really wished I’d incorporated some cross training into my programme when I was only running. Nutrition – Just talking basics here. Becoming more knowledgeable about food and cooking more with fresh food makes a difference in how my body heals and recovers from both injury and training. Movement – We are designed to be hunter-gatherers, not sit in front of computers all day. I can’t avoid working on the computer altogether but I am becoming more aware of the time I am sitting and I often stand up while in front of my computer. I take frequent breaks and move around as much as possible. If you are struggling with constant niggles and recurring injuries and want to be guided in how you can take control of your own pain, then check out this free video of an exercise I frequently do myself! 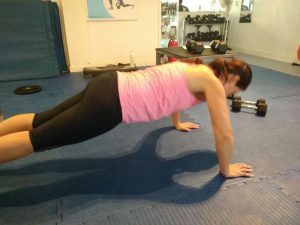 If you would like to discuss personal training or a biomechanics assessment with Lorna please take her look at Wilson’s Workouts where you will find further information and her contact details. One of the biggest consequences of life today is that we don’t need to move. Work for a huge amount of us involves sitting at a desk all day long in front of a computer or looking down at our smart phones. I include myself in this. 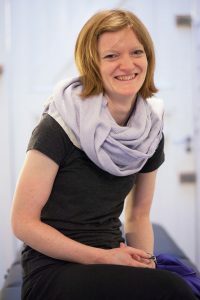 Although my job involves a hands-on aspect treating people I still find myself spending more and more time in front of a computer because of the demands of running a business as a physiotherapist. We cannot always change the fact we have to work like this but we can alter how we counteract the prolonged periods of being sedentary. During the working day try and get up and move around regularly. We all have the best intentions but then we get engrossed in the important emails and before we know it we’ve not moved for several hours. Try getting up and moving around every hour and if that is not possible at least change your position and posture regularly (How good is your work posture) .Some people find splitting working between sitting and standing at their desks beneficial. Outside of work it is so important to exercise. Not only is exercise good for general fitness, the heart and circulation but it also nourishes the mind therefore helping with stress and sleep. It can have a significant impact on aches and pains, especially if they are being caused by sitting all day. Of course, the amount of exercises, intensity and frequency really depends on your own fitness levels. I cannot emphasis enough the importance and benefits of moving. I appreciate free time is limited and not everyone enjoys getting hot and sweaty but even making small changes (e.g. walking/cycling to work rather than catching the tram and taking the stairs rather than the lift) can result in huge benefits. Why don’t you take a look at your lifestyle and have a think about what changes you can make! I spend a lot of time treating muscles because they can be the source of a lot of patient’s problems. This is because they have such a key role within the body and we ask so much of them. 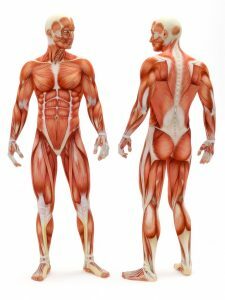 There are 3 types of muscle: skeletal (they move parts of the body including arms and legs), smooth (found in the internal organs) and cardiac (heart). Today I thought I would discuss skeletal muscle. Skeletal muscle is a soft tissue composed of muscle fibres. The muscle is attached to bone via tendons (ligaments attach bone to bone). The contraction of the muscle fibres produces movement. The tendons are connected to at least two different bones and so when the muscle contracts one bone is moved. Muscles tend to work in pairs. When one is contracting (Agonist muscle) the other is relaxing (Antagonist muslce). A good example is when the biceps contracts the triceps relaxes resulting in the elbow bending. During movement in addition to the agonist and antagonist muscles there is also the synergist and fixator muscles. The fixators’ role is to stabilise one part of the body to prevent any unwanted movement and the synergist muscles stabilises around the joint where the movement is occurring. The contraction of the muscles fibres under load or tension is known as a concentric contraction. Muscles can also lengthen under load or tension and this is called eccentric contraction. An example of this is the quadriceps muscles lengthening during sitting down slowly. Muscles can also contract without movement and this is referred to as an isometric contraction of the muscle. For example, squeezing the buttocks together activates a contraction of the glut muscles without any movement. Muscle action is therefore a complex but extremely clever and efficient process. However sometimes physiotherapy is required to improve the performance of the muscles. These are just a few of the reasons why; muscle (including tendon) injury, over use of the muscle, weakness, poor biomechanics, poor posture and stress. Very often a problem with the muscle results in pain. Advise and education: information on why the muscle is a contributing factor to the symptoms and how this can be improved and prevented in the future. Treating the correct muscles can have a very positive impact on symptoms which is why I love working with them! Lower back pain is one of the most common problems I see in my practice. The severity, duration and intensity is variable but the predominant reason for patients attending physiotherapy is the same. They are in pain and the pain is affecting their daily lives and ability to carry out activities. There are short and long term goals when it comes to physiotherapy treatment of lower back pain. The short-term objective is to reduce or resolve the back pain and therefore increase movement and ability to carry out functional and sporting activities. The long-term objective (especially for those suffering with chronic lower back pain) is to teach self-management for back care. Treatment of acute lower back pain will vary from patient to patient as it is dependent on each individual. However, treatment primarily involves education and advice, some hands-on mobilisation of the spine and soft tissues and a gentle exercise programme to mobilise the spine and begin to strengthen the muscles around the spine. Long term self-management of the spine involves discussions around ergonomics at work, advice and education, more advanced exercise programme to mobilise the spine, pelvis and hips and strengthen surrounding structures. Progress can take time, especially if the problem is chronic but it is important that the set programme is followed. It is well worth looking at this as it has a lot of relevant (researched based) information in the publication. It may well answer some questions you have regarding lower back pain. 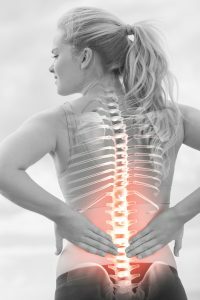 If you are suffering from lower back pain and unsure whether physiotherapy will be able to help you, please do not hesitate to contact me and we can discuss your problem in detail and determine what the best course of action is for you. Often, when it is someone’s first time attending a physiotherapy assessment they do not know what to expect. I thought I would write a brief blog outlining the fundamentals of a physiotherapy assessment in the practice setting and how the assessment determines what treatment comes next. The assessment tends to be longer than a treatment session because there is a discussion element at the start of the session in addition to the physical examination. To begin with we discuss why you are attending, expanding on signs and symptoms. We also discuss lifestyle and general health. These questions can sometimes appear a little personal but it is important that the physiotherapist asks them when it is relevant because it helps to determine what may be contributing/causing your problem and then to decide what needs to be looked at and tested in the physical examination. This is known as the subjective examination. This aspect of the assessment is particularly important if you have come directly to the physiotherapist without a referral from a doctor because the physiotherapist is the first health care professional to assess and diagnose your problem. The amount of time spent on the subjective is variable, depending on whether your history is complex or more straight forward. The subjective assessmenthelps determine what is assessed in the physical examination. The physical examination follows the subjective assessment. During this part the physiotherapist will observe you both statically and during movements. They will palpate and feel the affected area, and often areas above and below the problem area. It can be indicated to look above and below the problem location because on occasion the problem is being caused somewhere else and the problems you can experience can be symptoms of the problem but not the actual cause. In addition, the physiotherapist looks at muscle strength, range of movement and ability to carry out functional tasks (for example standing on one leg). To help the physiotherapist determine whether it is a structural, ligament, muscle, tendon, cartilage, nerve problem the physiotherapist may well carryout special tests which are specific to a particular joint. The information attained during both sections of the assessment will allow the physiotherapist to establish a cause of the problem and therefore a diagnosis. A problem list and treatment plan can then be established and discussed with you, with an explanation of what treatment would be appropriate and why. Physiotherapists are always observing and reassessing so over time, depending on progress and how you are responding to the treatment, the treatment plan may change. This will always be communicated by the physiotherapist. If you are ever unsure of the reasoning behind a specific treatment choice, always ask! If you have read this and wonder whether a physiotherapy assessment would be beneficial to you give me a call, we can discuss your problem and determine the next step together (What is Physiotherapy?). There is quite a varied opinion on what physiotherapy is and what physiotherapists do. This is not surprising as people’s opinions will depend on their own experiences with physiotherapy which can be very different depending on why they required the physiotherapy in the first place. Physiotherapists can be found throughout all aspects of healthcare. From Intensive care rehabilitation, stroke units, children’s wards to a general practice on the high street. Ultimately a physiotherapist’s goal is the same: “To help restore movement and function when someone is affected by injury, illness or disability”(The Chartered Society of Physiotherapy). How this is achieved will vary depending on the needs of each individual patient. In addition to restoring movement and function physiotherapy can help maintain current levels of functional abilities when a patient is suffering from a chronic condition which may cause gradual deterioration in health. Physiotherapy is a modern medicine concept. Treatment is based on science based research. Physiotherapy considers the whole person resulting in a holistic approach to each individual patients care. This means considering all aspects of a patient’s health (physical and mental) and lifestyle. This will include working closely with other members of the patient’s health care team to maximise input and recovery. Treatment of injury, illness or disability is achieved through a combination of movement, exercises, education, advice, manual therapy and soft tissue release/mobilisation. The treatment programme will vary and will be individualised to each patient. The core to physiotherapy treatment is that the patient takes responsibility for their own involvement in their care, participating in treatment sessions and the home exercises prescribed to them. Physiotherapist are involved with patients who are experiencing acute problems (for example a flare up of arthritis, a sprained ankle, episode of back pain or recovering from a fracture) and chronic long term conditions (for example Multiple Sclerosis and Fibromyalgia). Physiotherapy can have a significant impact on a patient’s life by assisting with managing/improving pain, facilitating recovery, aiding people to remain independent at home and remaining in work for as long as possible. Physiotherapy can help people at any point in their lives from small children to the elderly. Personally I have worked in many aspects of adult physiotherapy including acute medical wards, orthopaedic wards, intensive care (for rehabilitation and respiratory care), neurological and neuro surgery specialist centre, neurological rehabilitation centre, acute stoke unit, stroke rehabilitation wards, care of the elderly wards, the community (treating patients in their own home) and clinic settings. This has allowed me to develop my treatment skills and knowledge of the human body, disease and illness. In turn I am able to transfer these skills into ensuring I give each individual patient the best possible physiotherapy care. Recently I have been treating a lot of sprained ankles because one role a physiotherapist has is the treatment of soft tissue injuries. This will vary depending on the nature and severity of the injury. It is advised to always seek prompt medical attention following an injury as this will ensure an accurate diagnosis and the correct specific care. However there is some generic research based advice that can be followed immediately after an acute soft tissue injury. The acronym PRICE Protection, Rest, Ice, Compression and Elevation remains one of the most popular approaches to management for the first 24-72 hours following injury. Protection: a short period of protecting the injured area through unloading/not using the injured area is required after the majority of soft tissue injuries. However excessive protection (and rest) and unloading of the joint can do harm. This is one reason why it is important to seek advice about how to progress the loading of the joint during the first few days post injury. For example an ankle sprain: using elbow crutches to walk with for the first 24-72 hours will help unload the ankle joint and so protect it but it is important to wean off the crutches and start loading the joint at the correct time. Rest: if the injury has occurred during an activity then cease the activity immediately. Resting the injured area helps prevent further damage and avoids further pain. However, as discussed previously excessive rest for excess of 72 hours can do harm. Ice: standard application of ice is for 20 minutes over the injured site every 2 hours for at least the first 6 hours following the injury (the skin must be intact). The ice can help with reducing the pain and there is some evidence that ice can help with inflammation. Compression: applying a firm (but not so tight it causes discomfort) bandage to the injured area can provide support (which can help with confidence as the injured area can feel more supported). It can also help reduce local bleeding and swelling. Elevation: placing the body part higher than the heart (if possible) can help reduce the accumulation of excess fluid (swelling) in the area. Elevation can be achieved by wearing a sling for the arm or placing the leg on a stool or in lying with it rested on pillows. Heat: avoid hot baths, heat packs, saunas and heat rubs because heat can increase bleeding and swelling at the injured area. Alcohol: it may mask pain and the severity of the injury increasing the risk of re injury. It can increase swelling, bleeding and delay healing. Running/moderate activity: it can cause further damage to the injured area. Massage: Vigorous massage to the actual injured area for the first 24-72 hours post injury could cause further bleeding, swelling and pain. Massage in areas away from the injury maybe beneficial but that should be determined by a qualified professional. The advice given above is for the first 24-72 hours following an acute soft tissue injury. Post 72 hours, rehabilitation to reduce pain, increase movement and strength of the area and increase balance (for a leg injury) is required. The treatment plan will depend on the location, severity and nature of the injury. If you ever have any questions or are unsure how to proceed following the injury, always seek medical advice. On October 16th 2016 I ran my first half marathon here in Amsterdam. Prior to this I had run a couple of 10km and 5km races years ago. My reasoning behind running the half marathon was that this year I wanted a new physical challenge. I chose running as it was one of the most accessible and convenient forms of exercise I could do, fitting runs in between work. Also I’ve always wondered whether I could actually run a half marathon. I am one of those people who enjoys having a physical challenge to train and work towards. When I was living in the UK I worked my way through the Chinese kickboxing belts finally achieving black belt. Up until now that has been the most physically and mentally testing event in which I have participated. I do enjoy the discipline required to follow a training programme to ensure you meet your goal. 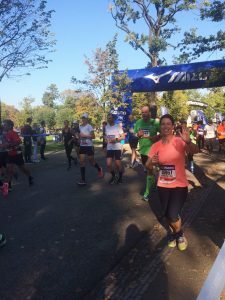 I could have run the half marathon with less preparation but I would not have achieved the time I did and I would have put myself at risk of injury. I started the official training 6 months prior to the race. Before then I was occasionally plodding around Vondelpark with no set goal, attending bootcamp and personal training once a week. My Personal Trainer Lorna Wilson of Wilson’s Workouts (Wilson’s Workouts) designed a running programme for me to follow to ensure I was at my peak of physical fitness by 16th October. I cannot say I am a passionate runner. However, I did (and still do) enjoy getting outside in the fresh air to exercise. I am not a runner who enjoys listening to music, rather I use the time to clear my head and compose my thoughts, making work and home to do list, thinking about my shopping list, planning weekend social events etc. In fact this blog was written in my head while running around the park. Having the set programme really helped with the motivation as it meant I had to go out running whether I wanted to or not. Apart from a couple of social weekend engagements I was pretty committed to the programme and stuck to it. I even surprised myself by enjoying running on my holiday. Normally when I am on holiday I do very little exercise. However I went away close too the race to justify a week off so I packed my trainers and running kit. I followed my programme and I felt great for it. I got the runs done in the morning and it meant I could enjoy the local cuisine guilt free! In addition to the running I continued with my conditioning work at Lorna’s bootcamp once a week and personal training sessions once a week. The combination of the conditioning/strengthening work 2x week and running 3x week meant on race day I felt confident and fit. I knew I should be able to complete it as I had managed 20km in training. However………on the day it was tough!! I did the one thing everyone advised me not to do…I started off too fast and continued with that pace. After a couple of kilometers into the run I felt comfortable and was really happy with the pace. My goal was always to complete in 2:15 and the pace I started at was faster than the pace I needed to be running at but because I felt so good I didn’t slow down. On the plus side I did run a 5km and 10km BP but on the down side 12-16km were very tough as I got really tired. It took all my discipline to keep going. Fortunately at 16km I slowed down just enough to keep a good pace and to feel more comfortable resulting in beating the 2:15 finish time I was aiming for. I was thrilled with the finishing time of 2:08, even if as I crossed the finish line I was so hot (amazingly hot day for October), tired and a little nauseous. All the training leading up the run meant that I did not pick up any injuries during the run and I was able to run hard. The following days I was really tired and had extremely tender toe nails but apart from that I felt great. What did surprise me was that during the week after the race I did not run and I really missed it. I was actually looking forward to getting back out there running. That I did not expect! I have always respected long distance runners, particularly marathon runners, triathletes (half Ironman and full Ironman just blows my mind). I am truly in awe of what they can achieve. The discipline to training and the mental attitude is incredible as I know how much hard work I had to put in to do this race. It does show what you can achieve if you put your mind to it. So what’s next for me? At the moment I am enjoying running each week but at my pace and at the distances I fancy rather than following a strict programme. I would like to do some 10km races next year to beat my BP and you never know perhaps another Half Marathon. I am not currently feeling the need to do a full marathon but never say never! Dry Needling. What exactly is it? Whenever I mention that I do superficial and deep tissue dry needling as a treatment technique, the very first thing people ask me is “Is that acupuncture?” The simple answer is “No it is not”. Acupuncture uses a different mind-set and a different language. I am not an expert on acupuncture and do not want to do the individuals who practice acupuncture the disrespect of even attempting to explain its concepts and complexities. However I will discuss it in reference to comparing it with the dry needling techniques I use. Acupuncture is based on the Traditional Chinese Medicine concept of the meridian system, a belief in a path through which the life-energy known as Qi flows. Acupuncture involves inserting very fine needles into specific points of the body to help stimulate movement of energy within the body. The goal is to restore the proper flow of Qi. 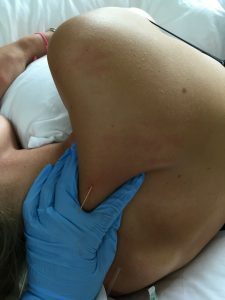 Both superficial and deep tissue dry needling techniques also use the insertion of fine acupuncture needles into different parts of the body but they are based on a western medicine concept. The decision on the site and the depth of the insertion of the needle is established through the description of the pattern of pain and symptoms which the patient experiences and the discovery of myofascial trigger points through palpation. A myofascial trigger point is an exquisite spot of tenderness in a nodule of muscle. When pressure is applied to the tender nodule it reproduces the pain that the patient has been describing. The science behind the development of thenodule within the muscle is complex and a little hard to explain but ultimately it occurs due to over use, over loading, over stretching and over working the muscle which causes an energy crisis in the muscle, resulting in the painful nodule and referred pain pattern. The insertion of the needle (particularly with deeper muscles) helps increase blood flow to the area in a way that simple palpation cannot. This counteracts the local energy crisis and so help reduce/remove the tender nodule that is causing the pain. Superficial dry needling technique is also used. The needle is inserted more superficially over a specific are, rather than deep into the muscle. This technique is often used for pain relief over a specific area. For example if you have sprained your ankle, superficial dry needling can be used above the injury to help relieve the pain caused by the injury. This occurs due to the stimulation of certain pain fibres that result in a natural opioid release– which is your own body’s natural pain relief. As a result of controlling the pain further therapy can commence and it reduces the risk of secondary problems associated with pain. It is important to understand that dry needling techniques are not a quick fix. They may well help reduce/resolve some symptoms. However the reasoning behind the trigger points forming in the first place need to be established. If they are not addressed then there is a strong likelihood that the trigger points and the symptoms will return in the future. Dry needling is an excellent treatment technique to use alongside other physiotherapy treatments for example education/advice, stretches and exercises.